Plains prickly pear can be a troublesome plant on rangelands and overgrazed areas. Animals will not graze around cactus and much forage can be lost in a pasture that has a significant amount of prickly pear. 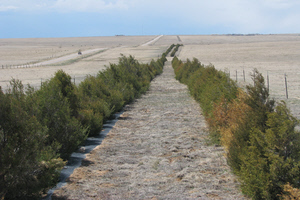 Once established, it will continue to spread, particularly if overgrazing occurs. Within a couple years, cactus will be the dominant plant, destroying the grazing value of the land. Livestock will not forage close to the cactus but will hit the areas between the spiked plants especially hard. This leads to more open space to be filled by cactus. One of the best alternatives to knock the cactus back and let the grass return is using a herbicide labeled for Prickly pear cactus. One thing you don’t want to do is try mechanical control. It looks like it would be easy to drag a harrow or steel beam behind a tractor and collect all the cactus pads then burn or dispose of them. As is often the case, it only looks like a good idea. Your cactus problem will only increase. Dragging or any mechanical control method only spreads the plant. To control prickly pear, picloram (Tordon 22K manufactured by Dow Agrosciences) herbicide can be applied to the plants with a sprayer. According to Dow Agrosciences, the suggested application rates per acre are 1 1/2 pints for broadcast treatment and spray till wet on spot treatment. Spray needs to be applied in June or July during the full bloom stage. This is when the cactus is most susceptible to picloram. The cacti’s response to the picloram will be slow and can continue for two or more years. Make sure to read the labels and use only as directed. Tordon 22K is a restricted use pesticide and requires a private pesticide license to purchase the product. To obtain a private pesticide license, an easy, open book application must be answered and sent to the U.S. Environmental Protection Agency. The application packets can be found at Elbert County Cooperative Extension. After the cactus has been sprayed, how do you prevent it from returning? One of the most effective methods is using a grazing management plan incorporating rest during the grazing season. Allowing grasses to rest and regrow makes stronger plants. A little cactus is expected to be found scattered among your grass but rangeland should be mostly grass and a management plan will keep it grass. 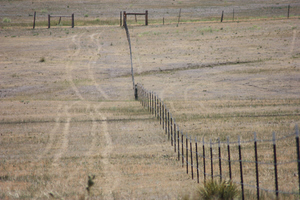 Season long grazing has been shown to hurt individual grass plants, leading to exposed soil and cactus. 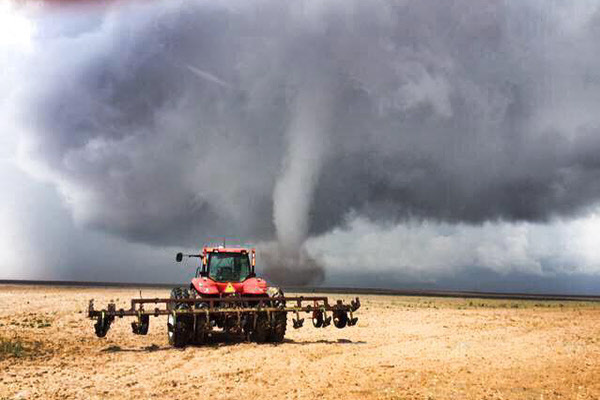 For help in setting up a grazing plan, contact the USDA Service Center in Simla and talk to the Natural Resources Conservation Service (NRCS), the Double El Conservation District and Agate Conservation District. Located at 504 Washington St we can be reached at 719-541-2358 extension 3. What to do about Prairie Dogs?